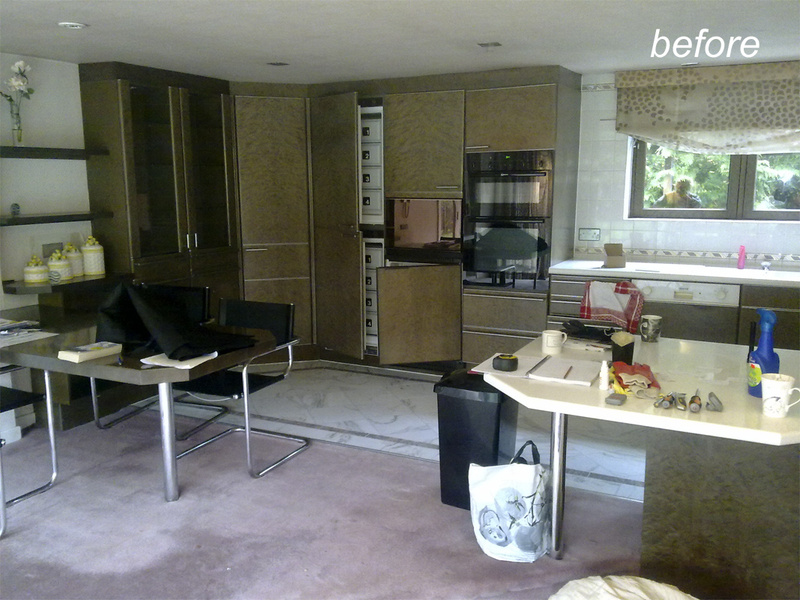 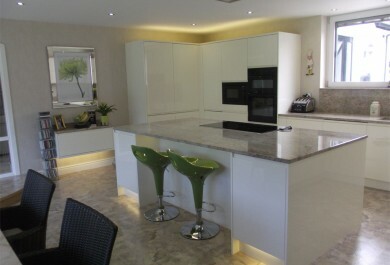 "A granite and gloss alabaster handleless dream"
Mr and Mrs Lonican bought a property in need of full renovation and wanted creative inspiration to change a very dated 1970’s poggenpohl kitchen to have much needed light and space. 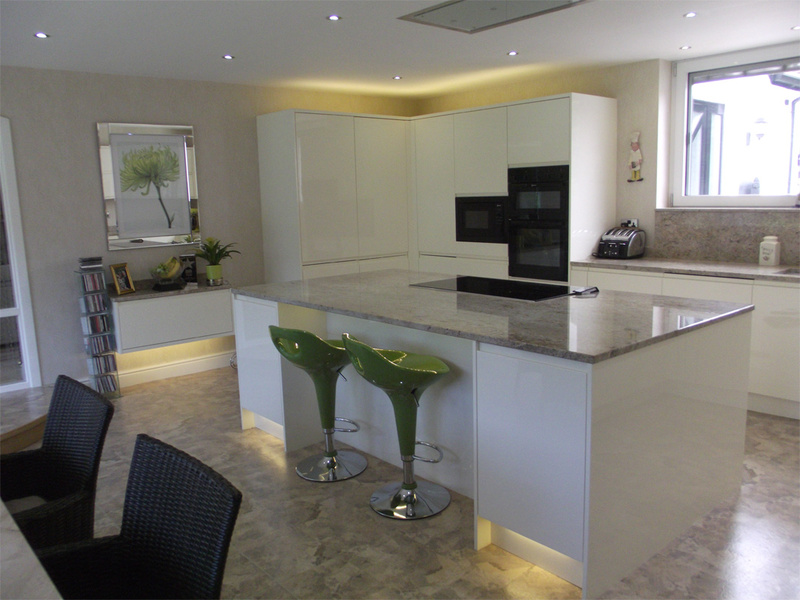 The room was transformed with a large island unit including hob and ceiling cooker hood and tall bank of units housing integrated fridge freezer oven and microwave in light reflecting alabaster gloss. 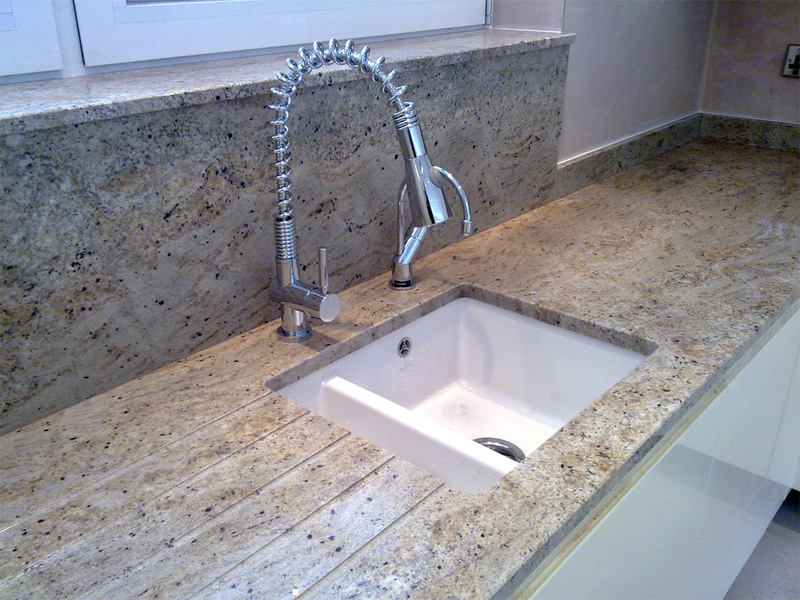 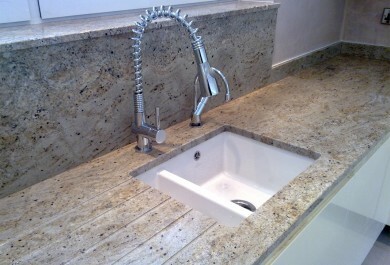 Granite worktops in Kashmir gold completed the elegant yet modern look. 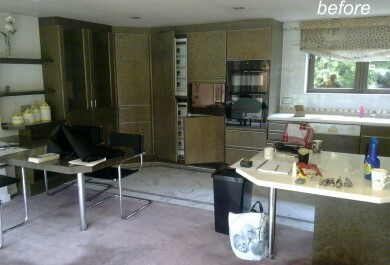 The Lonicans now have a gleaming polished space which is both timeless and contemporary to complement their lifestyle.